*Not included with this press sample. 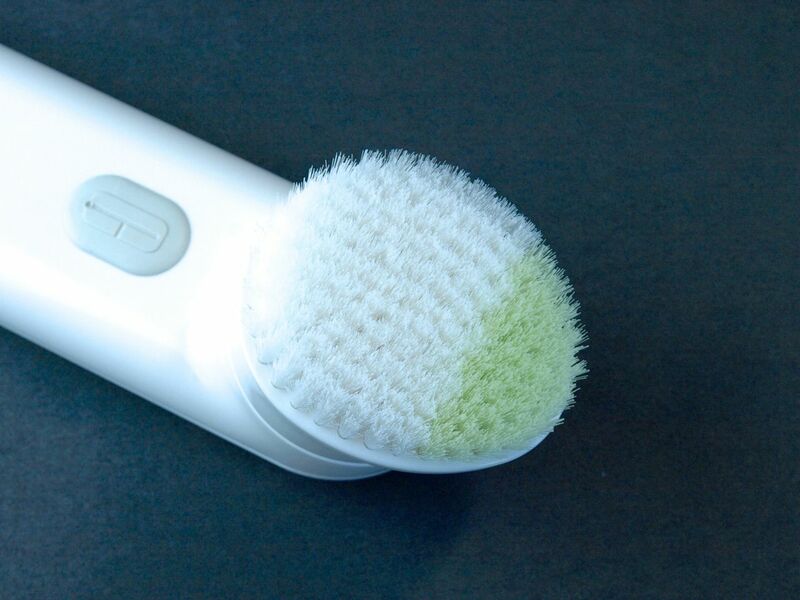 The Clinique cleansing brush features a simple, all-white design. In terms of size and weight, this brush is smaller and lighter than the Clarisonic Mia 2. The much lighter design makes this an ideal travel brush. There is a simple on/off switch with no intensity adjustment. A indicator light (located above the on/off button comes up when the battery is low or during charging. 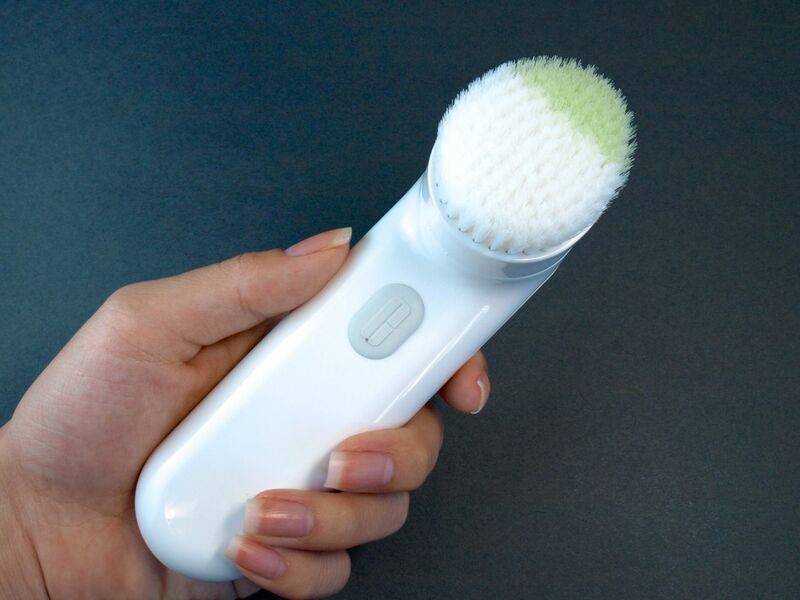 The Purifying Cleansing Brush includes a duo-bristle brush head made with antimicrobial technology. The lower portion of the brush features soft white bristles suitable for all areas of the face. The angled tip of the brush head features stiffer light green bristles designed especially for the T-Zone, forehead, and chin. This is the area I think the Clinique brush really beats out the Clarisonic. 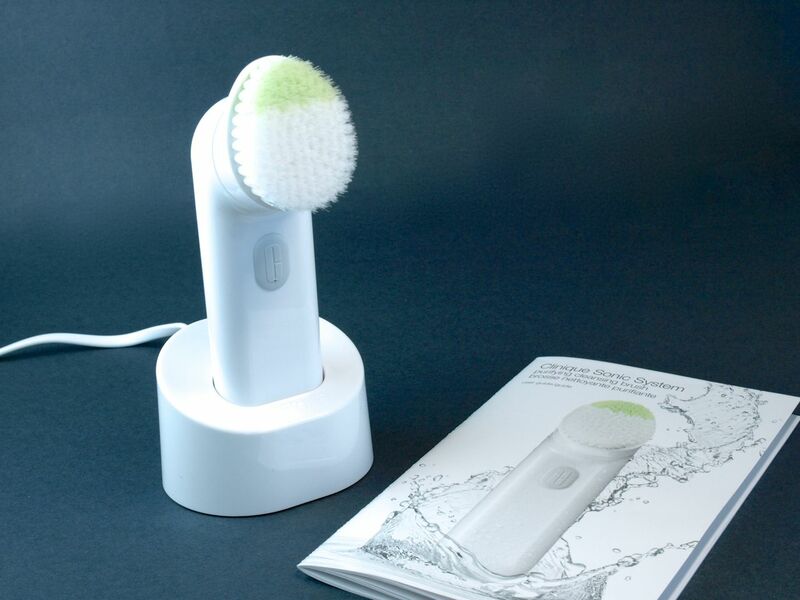 The charging time is 24 hours, which is the same as the Clarisonic. However, the battery life is 180 minutes (90 days of use if used two times a day), and that is quite phenomenal compared to Clarisonic's 28-minute battery life. The device charges via a plastic charging base which I admit is not as snazzy as the Clarisonic magnetic charger, but I'd definitely forgo snazziness for a longer battery life. Much like the Foreo (reviewed here), this is a simple vibrating brush. When turned on, the whole device starts vibrating and the bristles vibrates with the device. 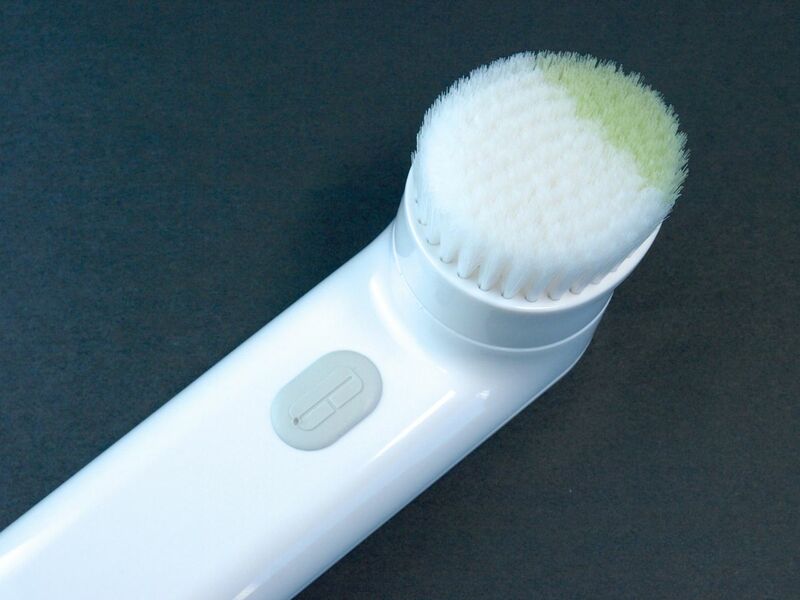 This is different from the mechanism of action of the Clarisonic (reviewed here), which features a ring of bristles that oscillated back and forth in addition to another group of bristles that vibrate in place. Additional, the Clinique brushes' vibration intensity cannot be adjusted so it is slightly weaker than that of the Clarisonic. With that said, I think this brush still does a great job at cleansing the face (considerably better than just using your hands). When turned on, the brush goes on for 30 seconds and turns off automatically. The recommended use is twice a day for one minute each time. There are several factors that make me really love the Clinique cleansing brush: its lightweight design and its amazing battery life. However, the downside is that the vibration-only brush head may not do as good of a job as the Clarisonic, which not only vibrates but also oscillates. Additionally, the green, deep-cleansing bristles are quite rouge so they may be a bit much for those with sensitive skin but the white bristles are great for gently cleansing the entire face. Lastly, the Clinique brush is considerably cheaper than the Clarisonic ($95 vs $180 for the device and $29 vs $31 to $34 for the replacement brush heads) so if the Clarisonic is a bit steep for your budget, the Clinique would make a better purchase.